Most of the products that I post or write about are ones that I actually use or a member of my immediate family uses. I am a brand-ambassador or an affiliate for several of the companies that I write about and may receive a commission or a credit if you make a purchases through a clicked link through my posts. CBD GUMMIES available on Friday, October 5! Delicious and effective, these gummies allow you to enjoy the benefits of pure CBD Hemp Oil in a convenient way. Each gummy contains 20mg of CBD Hemp Oil, helping to reduce ailments and promote overall health. CBD Oil is known to reduce nausea, vomiting, suppress muscle spasms and reduce seizures and convulsions. It also helps to relieve anxiety, reduce cravings, aid in digestion, supports optimal immune function and the regeneration of healthy cells. 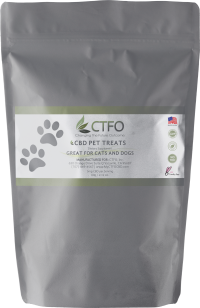 Are great for cats & dogs and a convenient, delicious & playful way to make CBD part of your pet’s diet. Helps treat multiple conditions without using harmful prescription medication. Does not damage the liver, kidney or GI Tract like OTC medication. Can be used to treat seizures, nausea, stress & anxiety. Pets less than 15 lbs get 1 treat; over 15 lbs get 2 treats.